The collaboration with its newly-appointed GSSA Air Logistics Group will enable Brussels Airlines Cargo to adopt a customer-oriented approach, says Philippe Saeys-Desmedt, VP Sales Africa & Global Cargo. 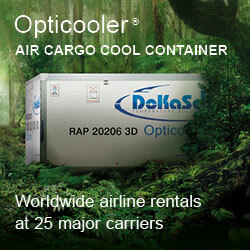 And Africa remains the carrier’s niche, a network that is developed in cooperation with shareholder Lufthansa. Brussels Airlines’ aircraft keep on carrying African exports of mainly perishables and flowers, but also other by-products like papain, a precursor to certain medicines. This is a trade that was set up by Philippe himself, notably from Entebbe, as he spent a great deal of his career – going back to the days of Sabena – in Africa. The northbound trade in perishables has grown into a highly specialized service, thanks to the close collaboration with handling company Adelantex under the brand name ‘Fresh-to-shelf’. 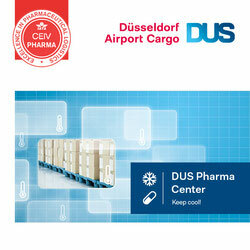 Pharma is also one of the upcoming products carried on flights to both Africa and to the U.S., says Philippe. “Even if Belgium exports a lot of pharmaceuticals, these flows tended to be diverted to Amsterdam and Paris.” Together with Finnair, Brussels Airlines was one of the two carriers subscribing to the IATA CEIV Pharma accreditation program supervised by Brussels Airport. Nairobi was one of the more important cargo stations in Africa, together with Kinshasa, Dakar, Bujumbura, Kigali, Douala and Entebbe. 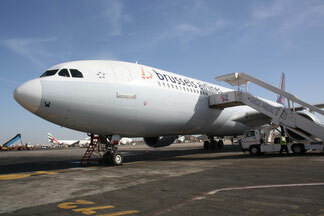 Cargo accounts for 48% of the total financial turnover of Brussels Airlines in Uganda. There as well, Brussels Airlines has made itself a name as the carrier that has never let the country down. The company’s predecessor, Sabena, set up flights to Entebbe as early as 1941 and kept on serving the country even in the days of former dictator Idi Amin and the civil war that eventually brought an end to his regime. The company is constantly looking at other destinations in Africa, as long as they are within the range of their A330 fleet. Johannesburg is for the time being out of the question, as it does not fit into the company’s policy to organize non-stop flights and roundtrips within the span of 24 hours. And, again, Jo’burg is well served by partners Lufthansa and Swiss. 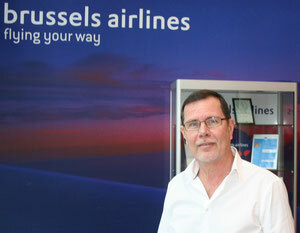 The same principle applies for the America’s, where only New York JFK and Washington are served although Brussels Airlines continues to look for other market opportunities in North America.